When avid writer and journalist Karen Silver decided to write a children’s book, she knew she wanted to do something different. Not the carbon copied, parodied Doctor Seuss knockoff or paint-by-numbers toddler 10 pager, but something that educates as well as it entertains, and something that pays particular homage to her home province of Newfoundland and Labrador. Her debut collection of children’s stories, lovingly and fittingly titled Come On We Goes, is a locally set journey that educates youngsters on everything from local geography to weather. “The first story is called Around the What? and it’s about how the St. John’s street systems are not planned out on the city grid like most big cities in North America,” Silver shares. “When people would say I’m going for a walk around the block, around here it’s kind of arbitrary because it would mean they were just going for a walk and ending up back at their house. In the States it’s a measurable distance. You could say you were going six blocks this way and it’s a precise measurement and that never made any sense to me at all until I had to discover on my own that we’re just not planned out the same way. 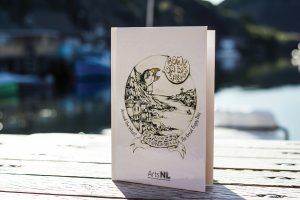 With illustrations from local artists Dayna Harrigan and Shan Pomeroy, characters inspired by beloved family members, and with help from Arts NL, Come On We Goes is a potential series kickoff that is deeply rooted in this place and its unique culture. Silver, a longtime Newfoundland native, wanted to spotlight her home in an informative yet easy to grasp way that would give the island the just due it so often lacks. 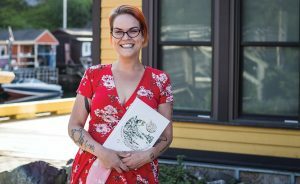 Silver hopes that the first two stories in Come On We Goes will spawn a continued series, one that will focus on more of Newfoundland’s culture, heritage and curiosities. 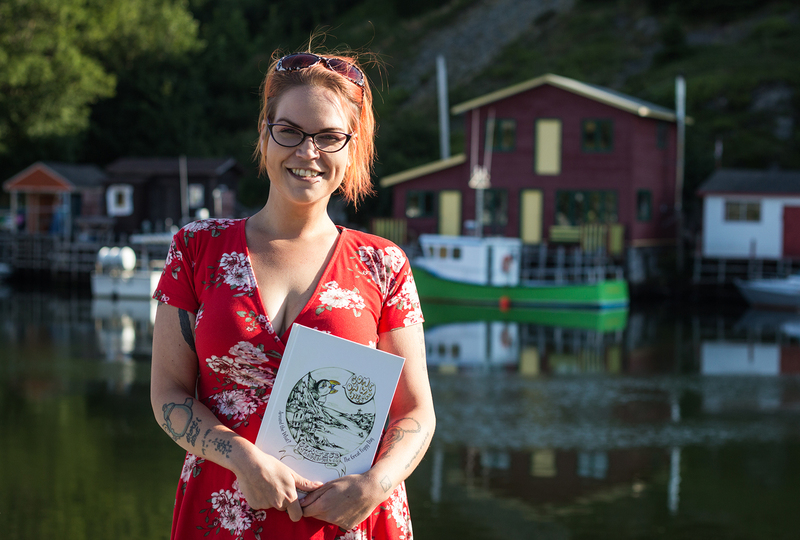 And while she hopes that the book will have a wide enough reach to ensure kids across the globe will get a taste of Newfoundland and Labrador, she is an avid promoter of immersing oneself in as many cultures as possible. “It’s the same for kids in Newfoundland and kids everywhere throughout the world. It’s always important to learn about other cultures, and I encourage kids in my life to learn of cultures not found in Newfoundland, especially not found in Newfoundland. You’re exposed to what’s around you but there’s so much more out there. Well done Karen,truly a great read and a great job!!! !